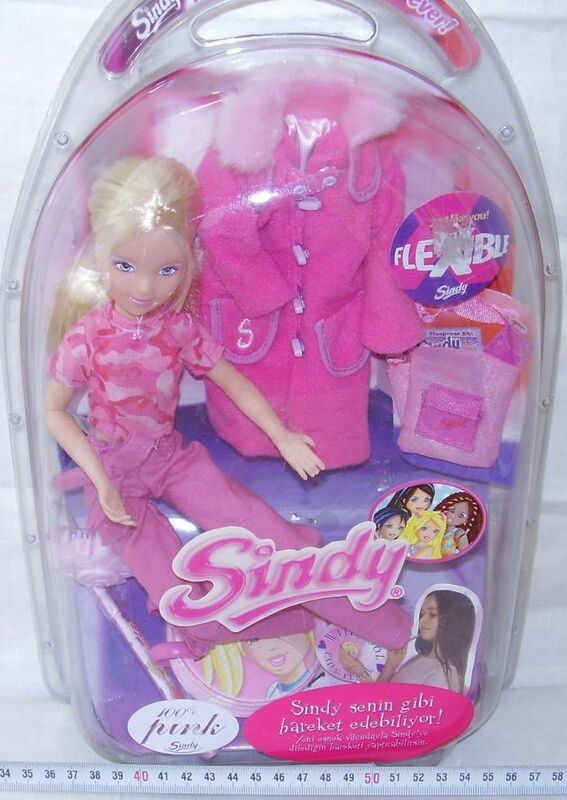 Sindy had been in slow but inexorable decline since the late 1980s, when Hasbro gave her a lawsuit inducing 'Barbie' makeover. 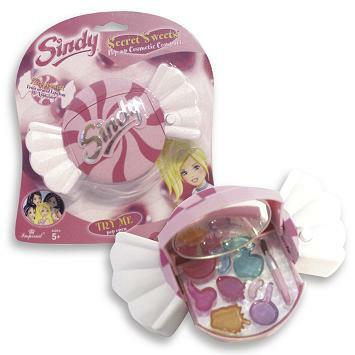 By the late 1990s, Hasbro had washed their hands of Sindy, and the licence went instead to Vivid Imaginations. 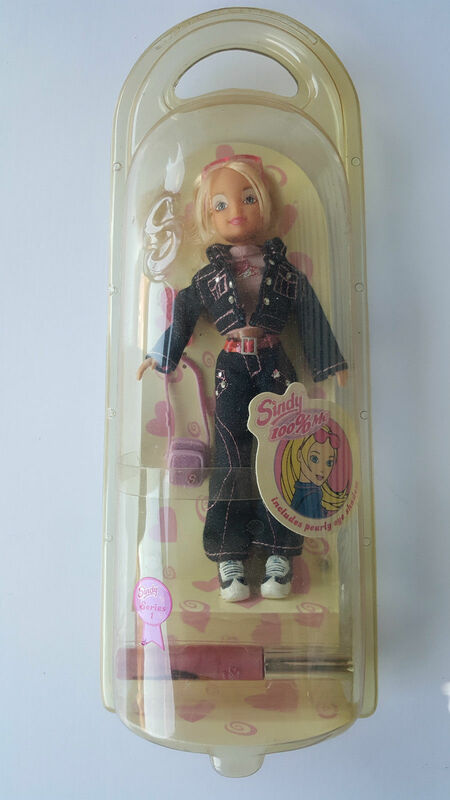 When that reboot failed, New Moons stepped in to produce a range of 6.5" dolls aimed at younger children (aged 5-9), in the hope of tempting concerned parents away from Bratz and Barbie. To that end, New Moons decided on a radical redesign. 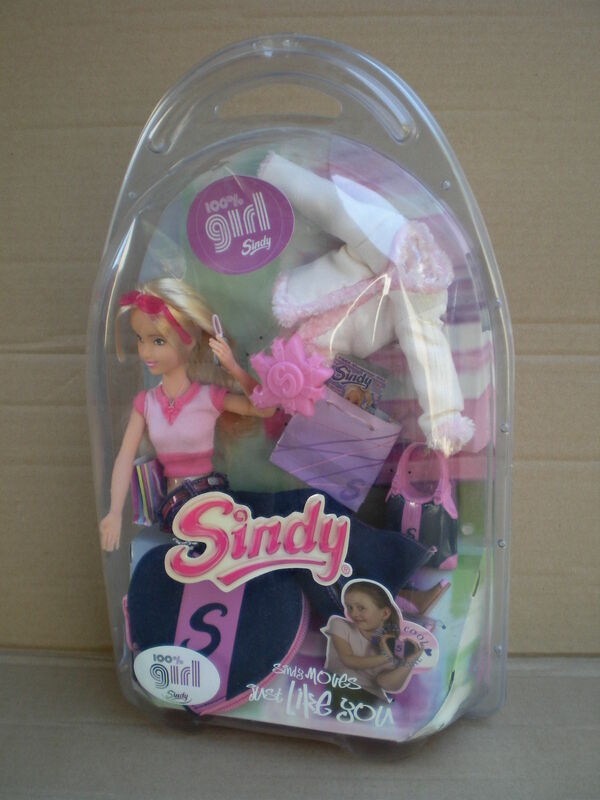 Denise Deane, head of design and development, told the press: "The relaunched Sindy has lost her ample bust and is designed to look like a 15-year-old girl. She's totally unrecognisable. 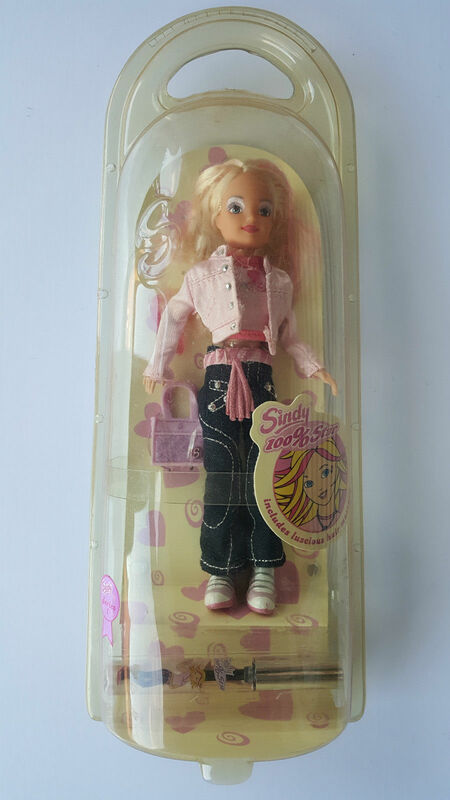 Sindy’s still very popular, but she has been neglected over the last few years, and we don’t think people are identifying with that look. 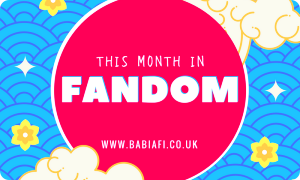 She’s going to look like a 15-year-old, and we’ve designed her to wear trainers." 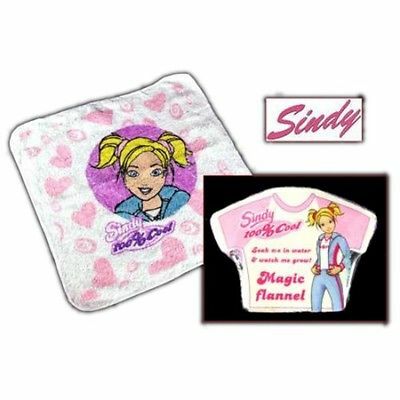 The press release picked up the theme: "Presented as a premium brand with medium tier pricing, 100% Sindy has been developed with direct appeal to today’s fashion conscious, street-smart girls. Added features include labels, icons, tags, to enhance the collectability of the range. 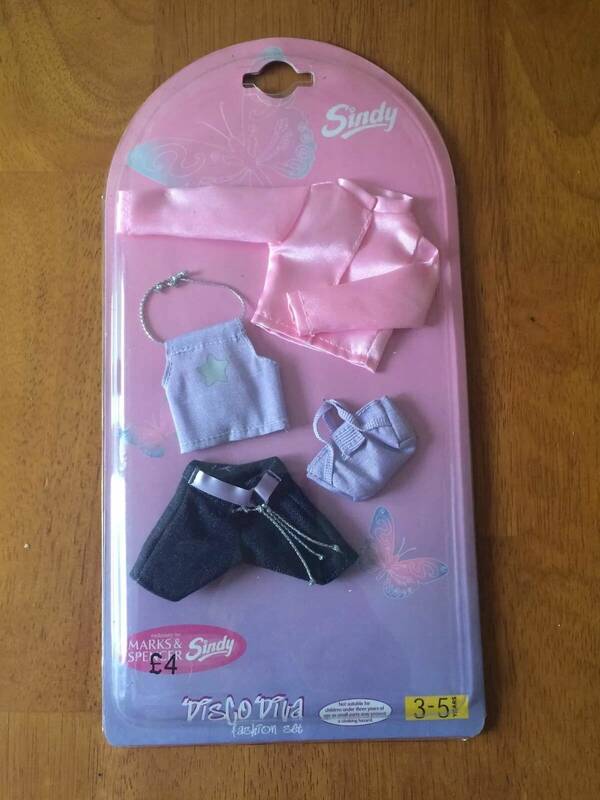 To support the retail launch of 100% Sindy, New Moons are planning a heavyweight marketing campaign including TV advertising (7-year-old Sophienne Duncan was the new face of Sindy, according to the Burton Mail) and extensive PR activity. 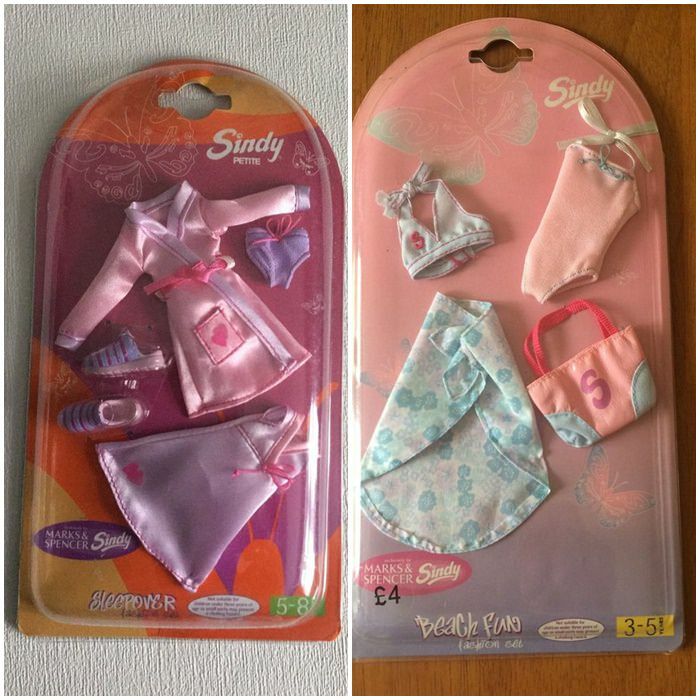 New Moons view their relationship with the Sindy brand as a long term commitment encompassing a ten year development programme. 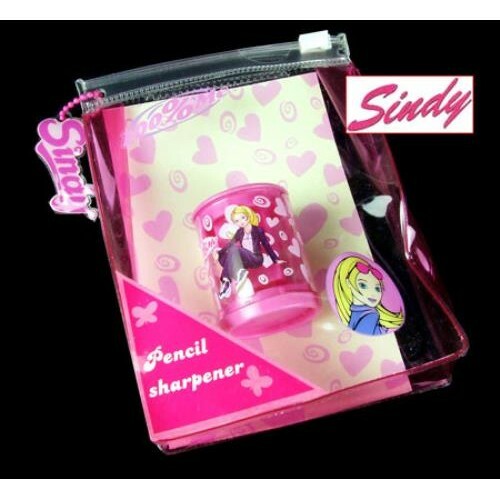 As the leading cross category designer of girls’ lifestyle products in the UK, New Moons are confident of the success of the 100% Sindy brand." 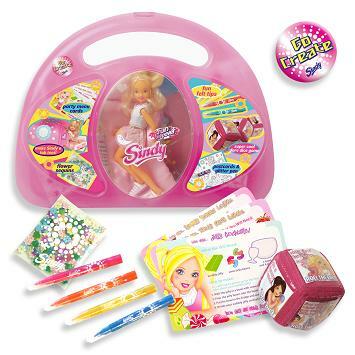 The range was first revealed at the 2003 autumn toy fair at the Birmingham NEC, and comprised of 40 products ranging from dolls to stationery. At the core of the launch were the 6.5" 100% dolls, comprising four sub-brands - 100% Cool, 100% Star, 100% Me, and 100% Fun. ☆ 100% Cool. (Box Front. Box Back.) Came packaged with a lip gloss. ☆ 100% Star. (Box Front. Box Back.) 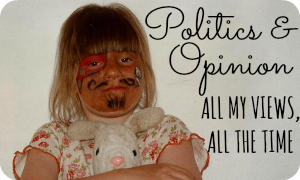 Included a tube of hair mascara. ☆ 100% Me. (Box Front. Box Back.) 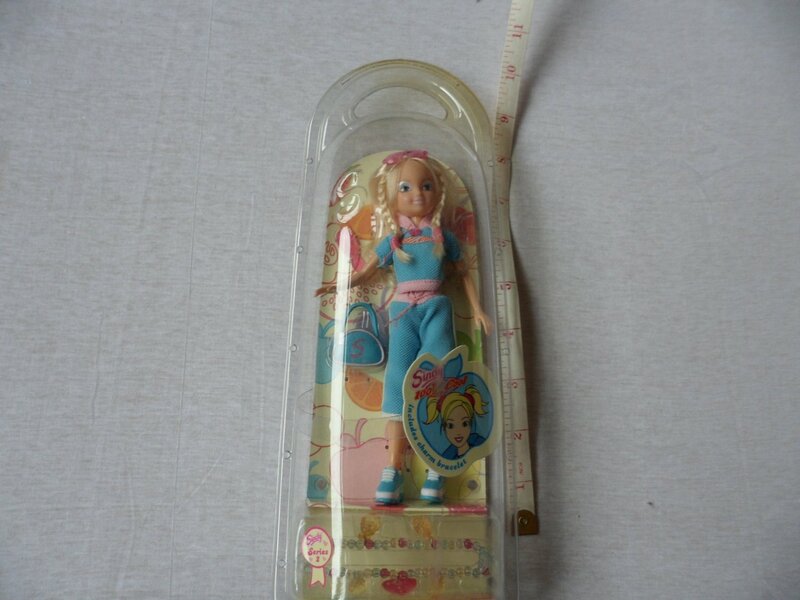 Came with 'pearly eyeshadow'. ☆ 100% Fun. (Box Front. Box Back.) Came with body glitter. 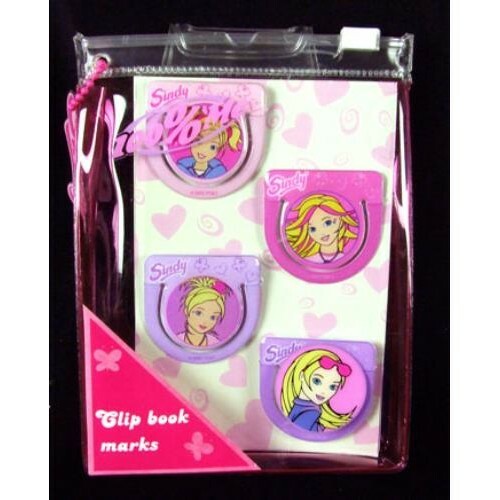 ☆ Clip Book Marks - 100% Me. ☆ Doodle Notebook - 100% Me. ☆ Magic Flannel - 100% Cool. 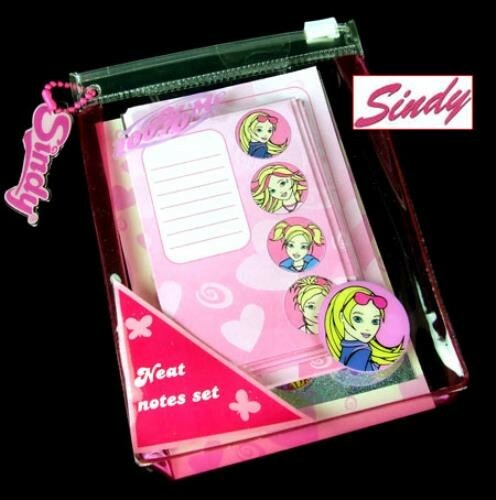 ☆ Neat Notes Set - 100% Me. ☆ Pencil - 100% Me, 100% Star. 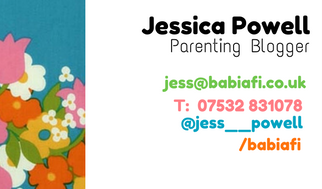 ☆ Pencil Sharpener - 100% Me. ☆ Stacking Erasers - 100% Me. 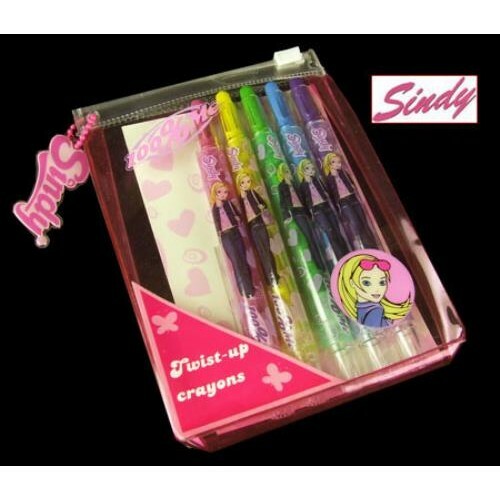 ☆ Twist-up Crayons - 100% Me. 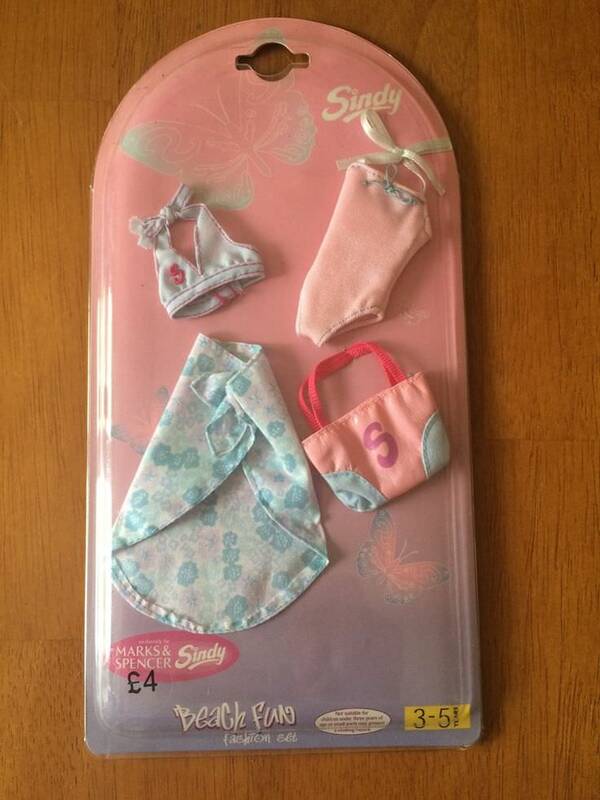 ☆ 100% Sindy Jet Set Fashion Organiser. 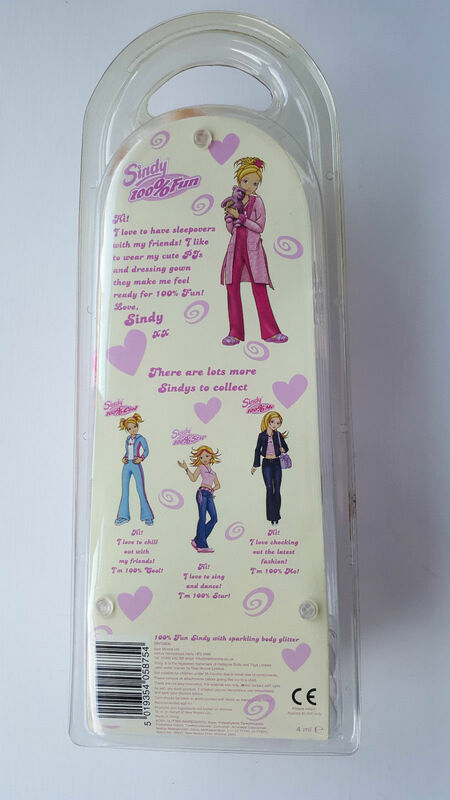 ☆ Beauty Bag - 100% Cool. 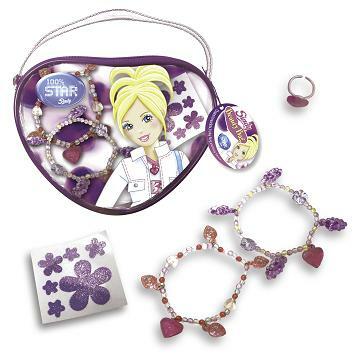 ☆ Beauty Bag - 100% Star. ☆ Secret Sweets - Candy. 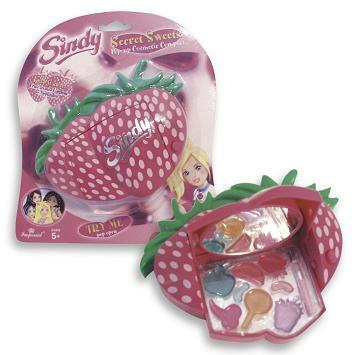 ☆ Secret Sweets - Strawberry. 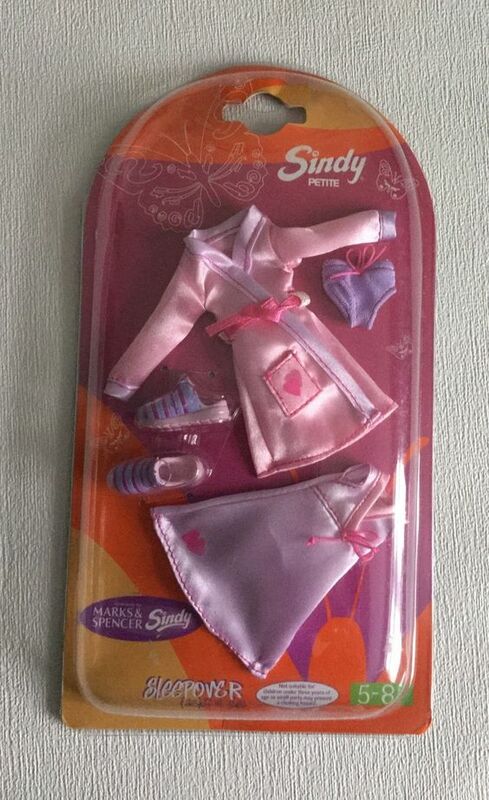 ☆ Go Create Sindy Set. 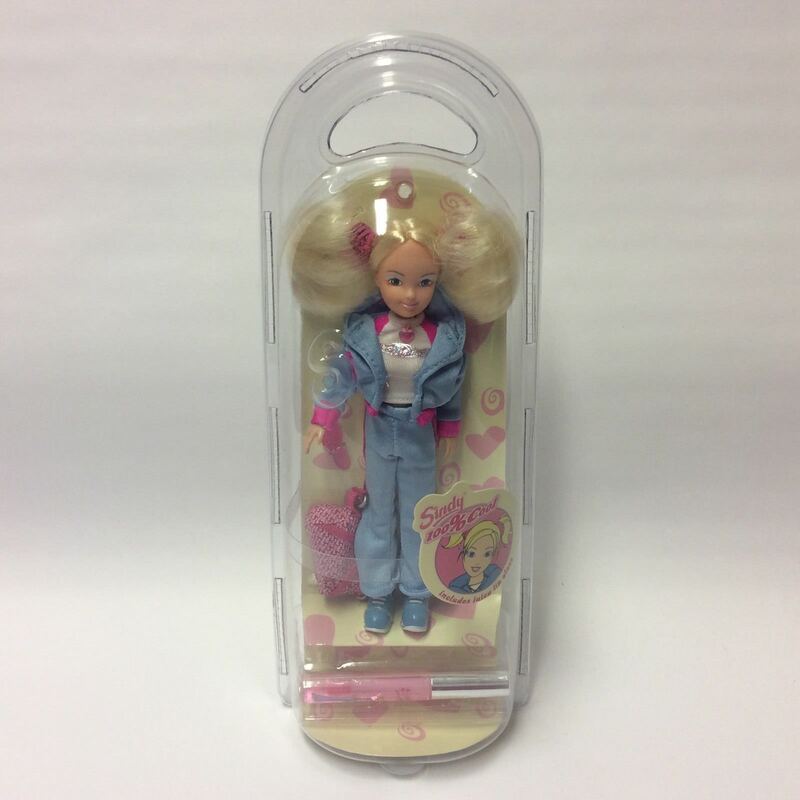 The extended 2004/05 range also included larger 10.75" dolls. 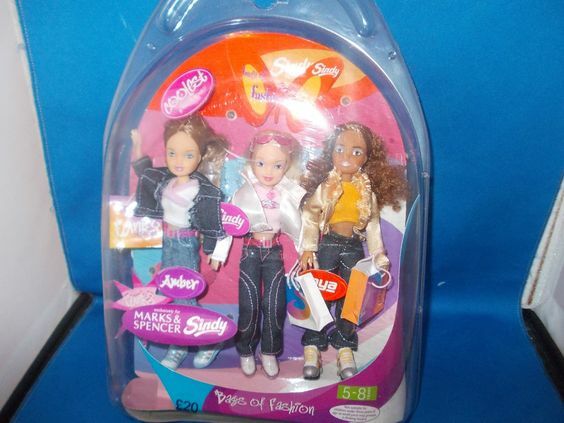 In 2006 the dolls were designed in house and sold as Chad Valley (i.e. Woolworths). ☆ Beach Fun Fashion Set. 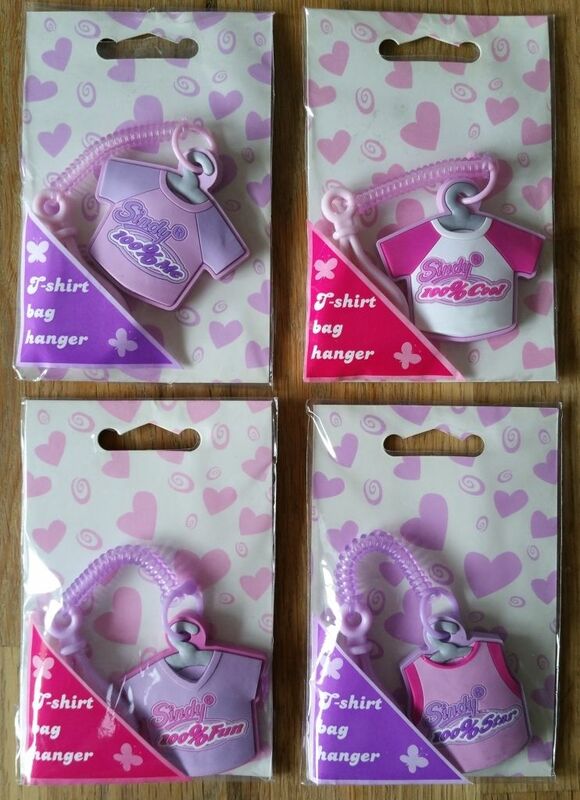 ☆ Disco Diva Fashion Set. 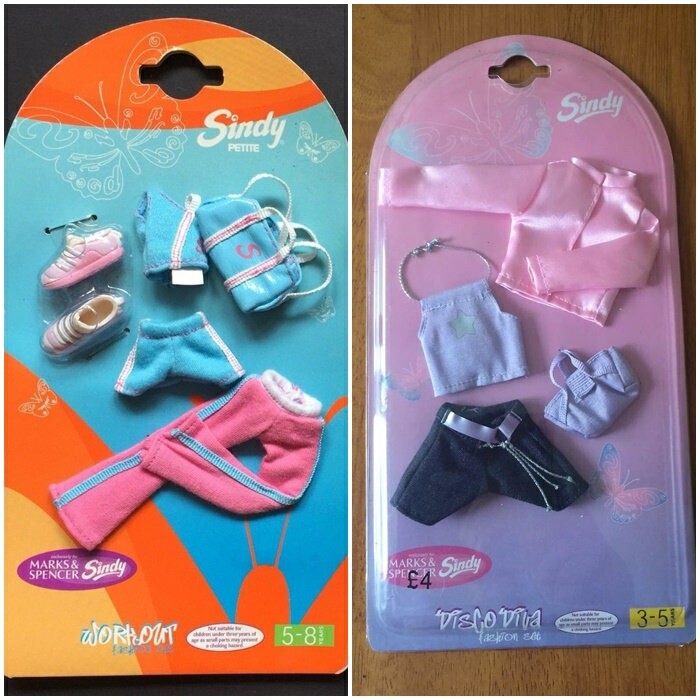 Although not majorly successful, there were some other tie in products. 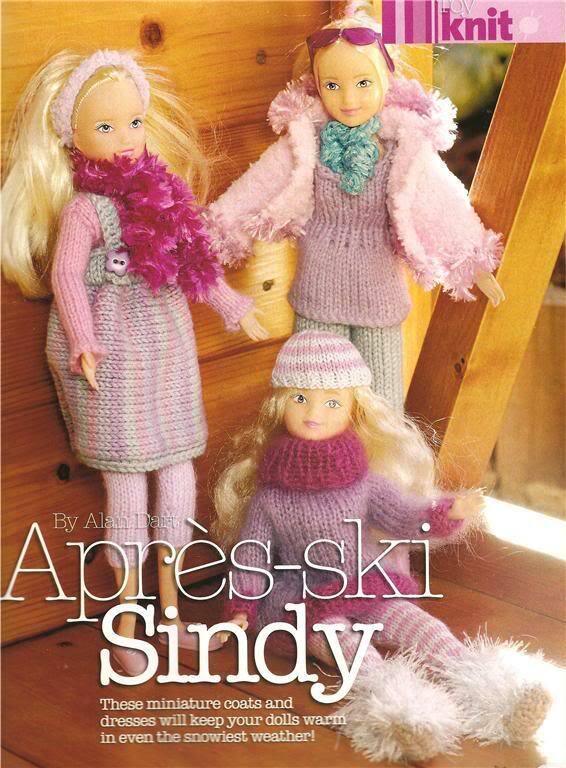 Simply Knitting magazine even produced some patterns! 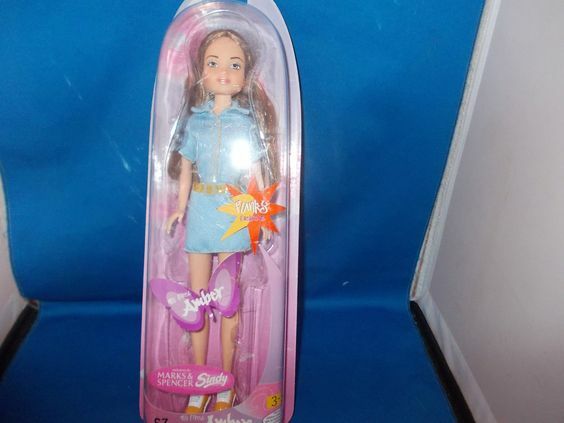 ☆ Sindy Special - New Moon and the Trainer Mistake.